CONFESSION TIME, FOLKS! I like art time. Ok, ok, I looooove art time. I love all the mess. I love the creativity. I love getting my hands covered in color. I'm not a huge fan of trying to come up with art projects that will appeal to my older kids but that will still be DOABLE for my little ones. Because let's face it, my four-year-old REALLY wants his project to look just as good as his big brothers'...but it usually does not, and so disappointment ensues. This scratch art project was a rare gem of an art lesson. 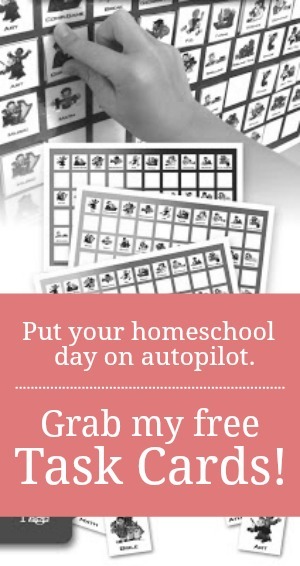 ALL my kids enjoyed it because it was easy, doable, and lent itself to individual expression. Granted, the end product doesn't look like a Rembrandt, but it IS pretty eye-catching. Using chalk pastels, scribble bold swatches of color all over a piece of heavy art paper. Cover the entire page thoroughly with black acrylic paint and set aside to dry completely. Using a mildly sharp-tipped object like a butter knife or toothpick, scratch off the paint to create a unique design or picture. 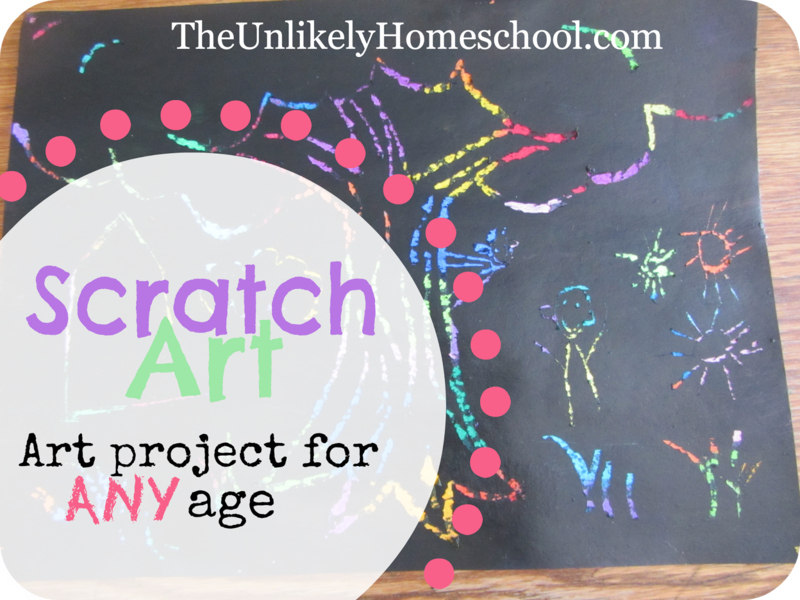 My kids love these scratch pages! We pay for them at Michael's and I'm so excited to try this version because you only get a few in the box. A sharpened wooden dowel work too to scratch (kind of like a pencil without lead) and might be less worrisome than a knife for the littles. I would assume that any waxy medium would work. Crayons might work just fine. They just wouldn't be as vibrant. Awesome DIY! I've only ever seen these "pre-made." While the pre-made ones scratch a bit better because they are professionally made, the DIY version work just great for us!